I think my “A Mom A Minute” series was successful, how about you? I think my readers enjoyed getting to know a variety of moms throughout the series. To conclude the series, I thought I’d do a little wrap up, and maybe give you some more insight into one more mom – me! Between us we have 14 girls and 7 boys, plus 2 step-daughters and a daughter who was given for adoption, plus one more baby girl expected. Our kids range in age from a few weeks old up to my 8 year old, plus the step-daughters who are 13 and 15! Most of our kids are into Doc McStuffins, Mickey Mouse, and Sofia the First. My kids love Sofia! Our kids are also into Tinkerbell and Elmo, with shoutouts going to Star Wars, Dora, Spiderman, Nemo, Bubble Guppies, and Dinosaur Train! Love those characters! Luckily a lot of the kids love books too, plus playing with dolls, dancing, all things pretty and crinkly, play-doh, balls, crafts, and getting into everything. Our kids are involved in a variety of activities, including dance, high school band, wrestling, t-ball, gymnastics, Girl Scouts, and music. In the future we may sign our kids up for soccer, swimming, volleyball, golf, dance, music, gymnastics, or track. We recommend Children’s Museums, the beach, the zoo, the park, the library, the pet store, Disney World, Crown Center in Kansas City, the Please Touch Museum in Philadelphia, the Georgia Aquarium, the Chicago Children’s Museum, etc. 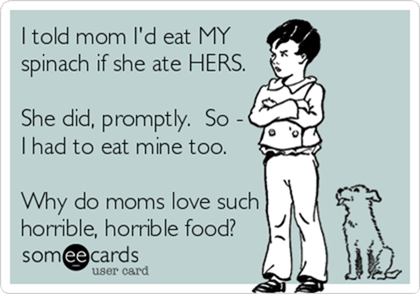 Including my kids, we have 7 picky eaters and 12 who are either just a little fussy or not picky at all. There are also a few who are too little to eat! I asked the moms what their “Mom Super Power” is. They came up with a variety of powers! My favorite was from Nicole, who said extended breastfeeding, and Jennifer, who also said breastfeeding. Breastfeeding is definitely my mom power too. Our other powers are: nap time success, calmness (x 2), functioning on little sleep, the ability to make kids laugh, the ability to get everyone ready every morning, taking pictures, and being affectionate. I also asked the moms about their biggest challenge or struggle as a mom. They said: having two kids so close in age, blogging / working while being a stay-at-home-mom, the need to be perfect, being a working mom, getting frustrated easily, understanding tantrums, controlling temper, having patience, setting healthy examples, sharing parenting with her husband, getting the baby into her own bed, and being hard on herself. What surprised the moms about being moms? Becoming an attached parent, not feeding only organic food, shopping at consignment shops, the love felt for the kids (x 2), co-sleeping (x 2), bonding with a baby, a sense of pride towards the kids, that it’s crazy to have a kid, how hard it is to have kids, that parenting came naturally, and becoming just like their own mom! Sigh of happiness – I just love these ladies! Now, let’s spend a minute with Dara (aka me)! 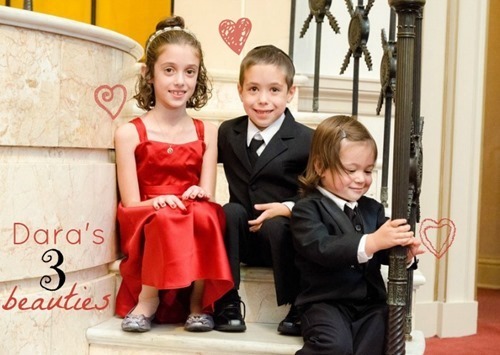 I have a girl named Gabbie who just turned 8, a boy named Zachary who will be 6 next month, and a boy named Simon who will be 3 in August. Gabbie likes to read and play with her dolls. My father taught her to play Gin Rummy and she enjoys that as well as War. She loves to dance. Her favorite show is Sofia the First. Zachary likes to play outside. He loves trains and going to the zoo. He also likes Sofia the First as well as Mickey Mouse, Dinosaur Train, and Caillou, and he likes to play on the iPad. Simon loves Mickey Mouse, Thomas, and Barney. He likes trains and is very interested in cars. He loves music, singing, and dancing. Speaking of which, you much watch this video!! Gabbie has been doing dance since she was 4. She currently does ballet and tap and always has, aside from last year when she did jazz. Zachary was signed up for karate, but he insisted he didn’t like it so he stopped going. I am not sure what he does like to get him involved in! Simon goes to a Mommy and Me music class which he loves! We love the zoo and we tend to hit up zoos and / or aquariums whenever we travel. We find that most children’s museums are similar to one another, but I prefer the ones that allow parents in for free! My favorite place to travel as a family is Disney World! Another place I’d recommend is for the locals – Hedrick’s Exotic Animal Farm. Read about our trip here! Simon is my only non picky eater and he’ll eat just about anything. My other two have issues like they like American cheese, but only if it’s orange. Zachary especially has issues with textures in foods and he is super picky about everything. Like I mentioned above, my mom super power is breastfeeding. 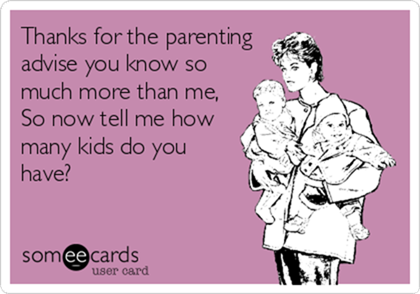 Not having had the best birth experiences, I credit breastfeeding with helping me bond with my kids. Plus, it was wonderful to always be able to feed my kids whenever they needed, wherever we were, and to be able to see them growing off of only my milk. I too have issues with patience and temper. It is hard to keep myself under control when there is a little person who knows just how to push my buttons just waiting for me to explode! How frustrating it is to love someone (or someones) so much! Don’t judge other moms! You are not her, you don’t know what she is going through right now, and it’s not your job to tell her or even want to tell her what she’s doing wrong!! With Mother’s Day coming up soon, do something special for your mom! Use the Blurb Designer Instant book template to make a professional quality photo book filled with memories for mom. Instant Books are easy to create, take about an hour, and start at just $12.99. This is definitely a present she will leave on the coffee table for everyone to see each and every day! Start creating your Blurb Designer Instant Book today and save 20% with promo code LOVEYOUMOM valid through 5/10/13!